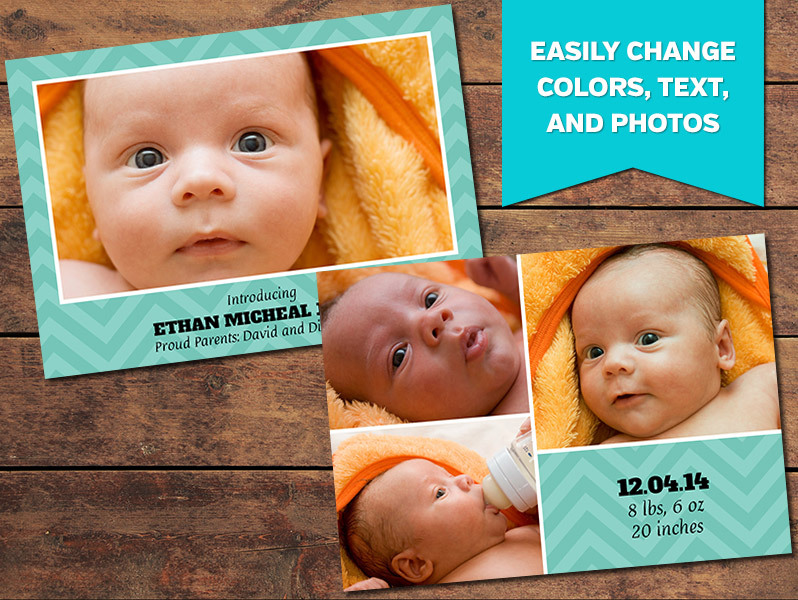 Create amazing birth announcements with this template and your photos. Whether you are creating the birth announcement cards for your clients or for yourself, this template will give you a great way to show off your newborn photos. The template is for a 5 x 7 double-sided card, and it comes in .psd format. The layered .psd files can be used in Photoshop or Photoshop Elements, and you can easily insert your photos and change text as needed.